If you are a business owner, then your company’s property is your home away from home and you know that its presentation to the public, and the ability to bring in new customers, is based in part on its eye appeal. Open concept floor plans continue to be a favorite among homebuyers. The flow from room to room creates a large, inviting space for friends and family to gather, and without walls separating rooms, the area feels larger and more spacious. 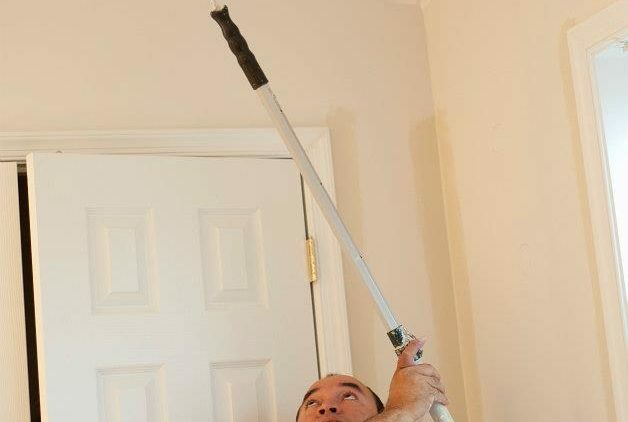 However, the large space can present decorating challenges. How do you create a unified color scheme? Use too many colors and the space will feel chaotic and be visibly unappealing. Use too few colors and it may be boring. One option is to create a palette using three to five colors. Five colors may sound like a lot, but the key is how each color is used throughout the space. 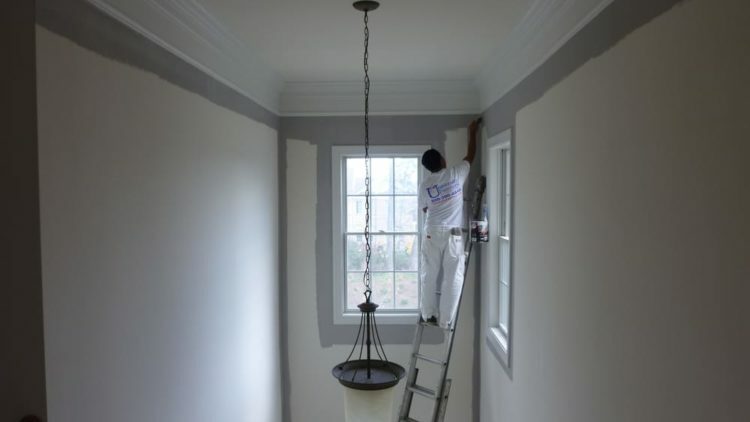 Choose one neutral color: white, off-white, or eggshell are good choices. Next, select one or two other light colors, and finally, select one or two accent colors. Keep your choices within color families to create a sophisticated, professional appearance. Whichever colors you choose, be consistent when applying them to your rooms. Use your neutral color as a base and apply to the majority of the space. The neutral color provides a blank canvas where you can add different accents, textures, and materials. Add interest to different areas of the space with an accent wall. Don’t be afraid to be bold. Remember, dark colors make objects recede, light colors make objects look bigger. Add color to the inside of a built-in bookcase, the wall over a fireplace, or an interesting architectural detail. A three color palette is a simpler plan. 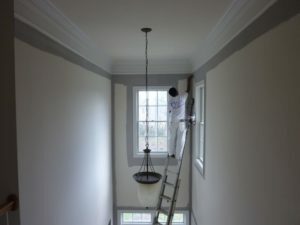 Use one color for the walls, the second for the trim, and the third for the ceiling. Again, make sure colors coordinate to create a refined interior. Tone-on-tone or monochromatic palettes offer more variety than you might think. Use different tones of the same color, either in one room or as a smooth transition between rooms. The different tones don’t have to come just from paint. Add wallpaper, stenciled designs, fabric, glass tile, etc. to create interest and texture. Don’t forget that textiles and furniture are part of creating a cohesive space. If you’re a fan of hardwood floors, select a neutral that works well with your color palette and furniture style. Layer area rugs, architectural details, and artwork to create depth and add interest to your space. 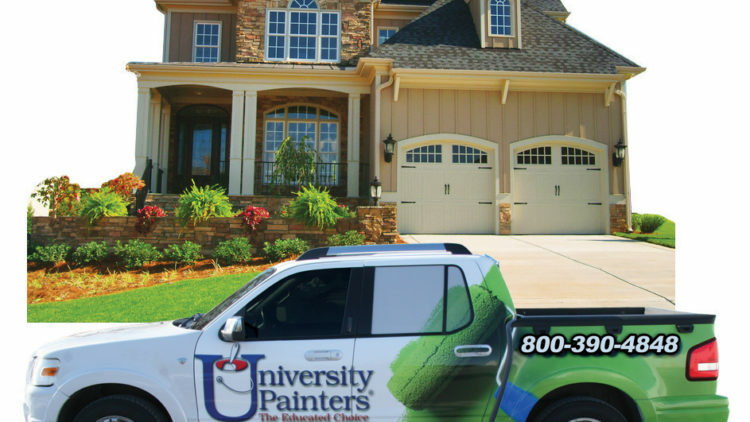 University Painters expert technicians can help you develop the right color palette to create the mood that’s right for your home. Call us today for more information and to set up a free consultation. During the warmer months of the year, people want to spend more time outdoors, not just relaxing but also celebrating with friends and family. Whether the gathering is a casual barbeque, a child’s birthday party, or a wedding, everything should look fresh and inviting. 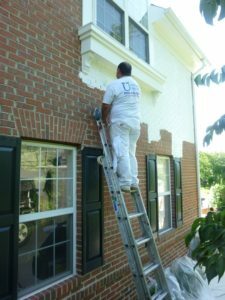 If your home has been the same color for the past decade, consider giving the exterior a refresh with a new combination of colors. Every year, the people at the Pantone Color Institute select a color of the year, which influences the fields of fashion, design, and home décor. 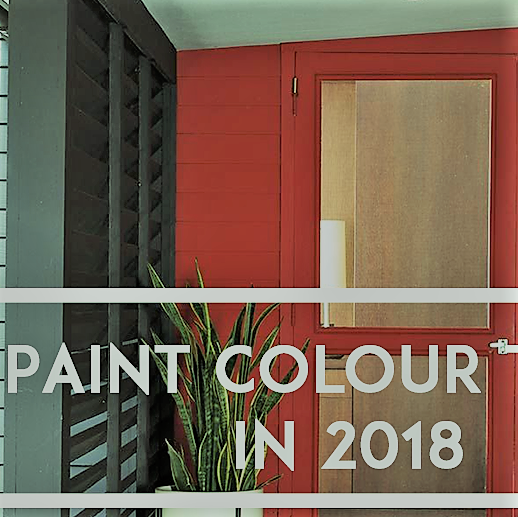 The color for 2018 is Ultra Violet, and while the exterior of your home may not be the place for a pop of this vibrant color, there are other palettes that are currently trending. 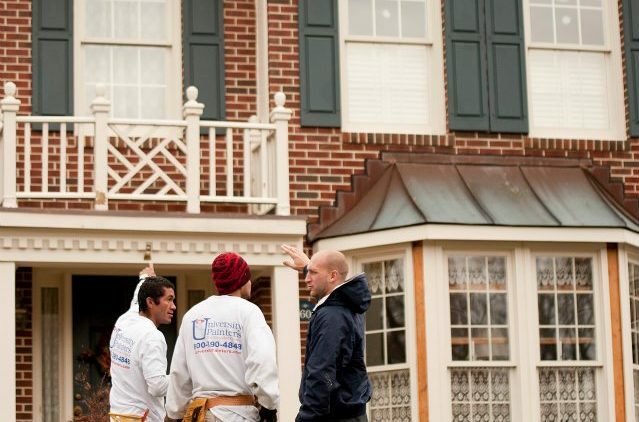 Before painting, consider the environment around your home. Do you live in a wooded area, downtown, or a more traditional suburban setting? 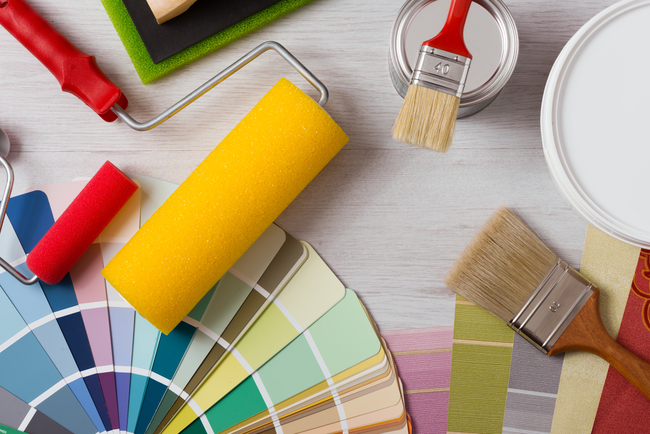 How will the new color fit in with other homes in your neighborhood? 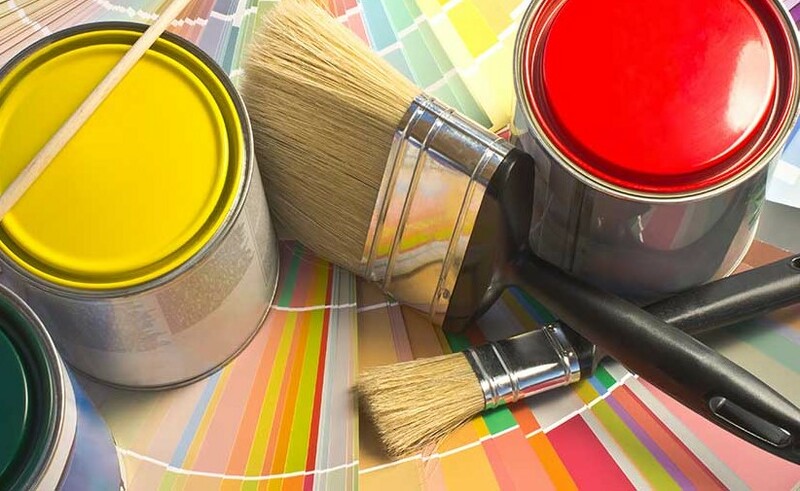 The answer to these questions will help you choose the best color scheme for your home. 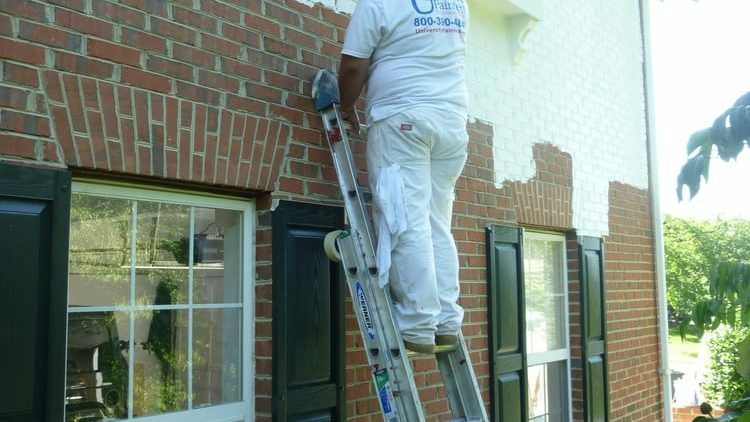 The first step is to select the main color, and then add accent colors. 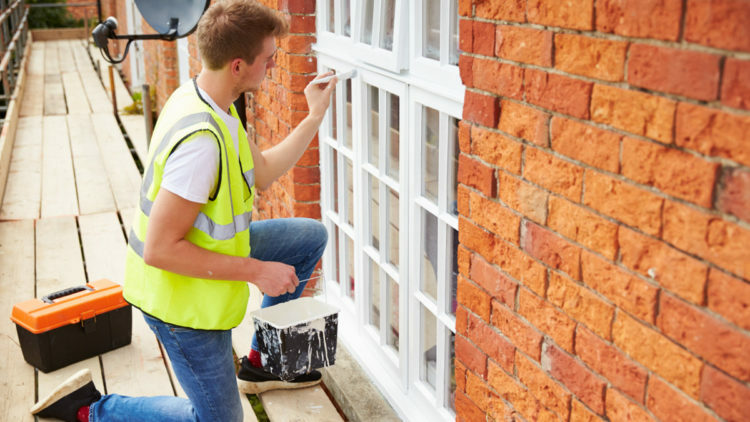 Don’t go overboard with the number of accent colors or you may end up with what looks like a Jackson Pollock painting rather than a fresh, updated exterior. 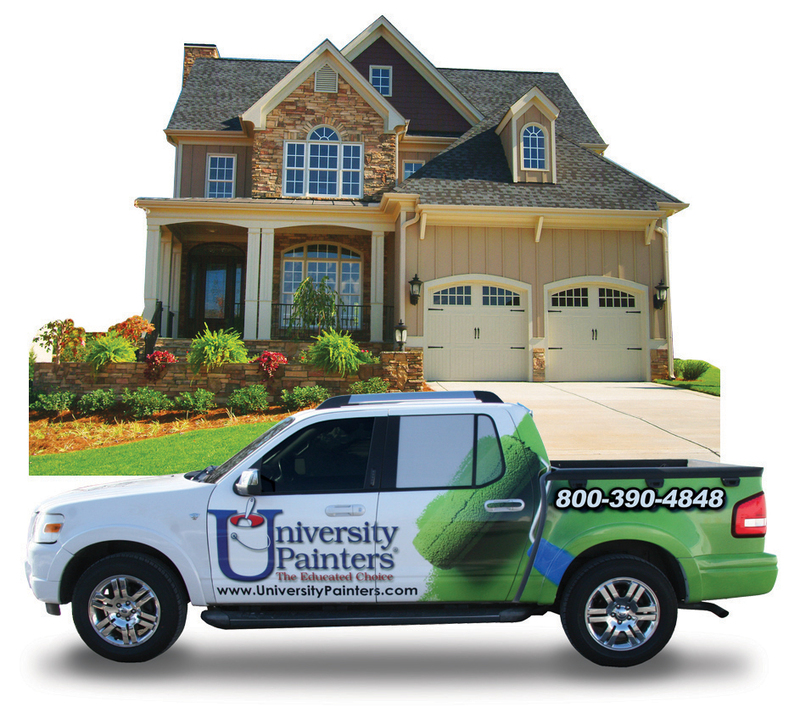 Exterior colors now trending are gray-blue, pale yellow, Cyprus green, peach, forest green, and red. If you select a bold color like red, keep the trim simple and add a complementary color to the front door. If you absolutely love white as the main color for your home, try updating the accents to forest green, gray-blue, or navy blue. 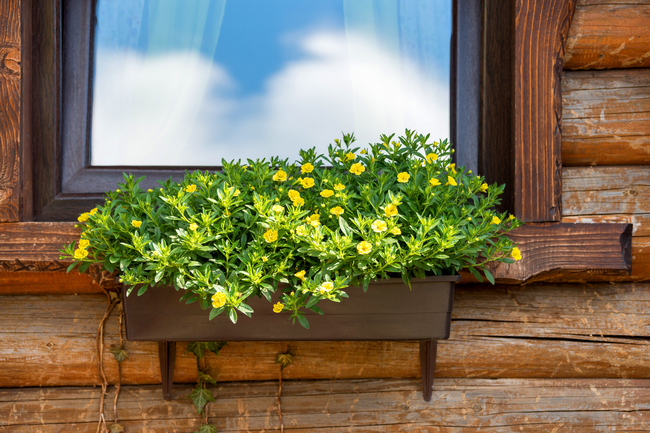 If you live in a lush, forest environment, yellow or peach are options to make your home stand out but not overpower the flora. If you have a few ideas but need help making your final color choices, contact University Painters. 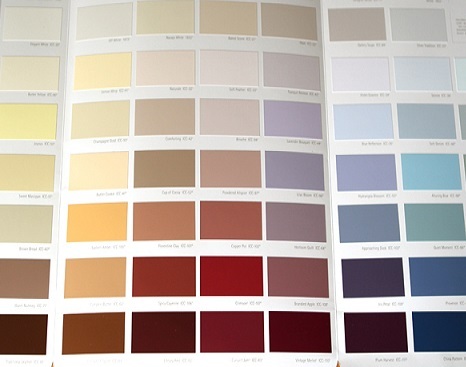 We can help you develop the right color palette for your home. Contact us today so we can help you get prepared for your next backyard event.